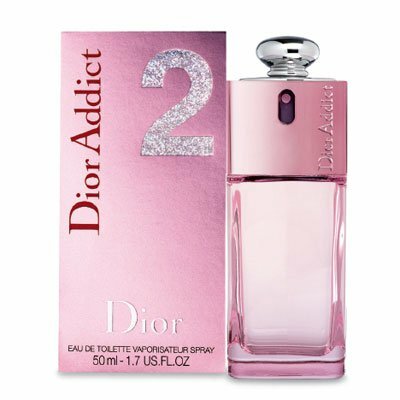 Dior Addict 2 is a perfume by Dior / Christian Dior for women and was released in 2005. The scent is fresh-fruity. The production was apparently discontinued. Dior Addict 2 lacks something for me. While Dior Addict hits you in the face with its bold personality and strong, smokey vanilla notes, Dior Addict 2 sits in the background, in a corner, not wanting to be noticed. This is a fruity floral which resembles something that you swear you've smelt time and time again. Unfortunately there is nothing particularly unique about this scent. Sure, it's pleasant enough and definitely wearable, however it's disappointing when Dior produces so many interesting fragrances yet can't seem to make this one stand out. The scent itself is sweet, juicy and pretty. It's very light, in fact it is so airy that I can barely detect it on my skin. I must add that the lasting power is terrible, absolutely shocking for a fragrance with such a high price tag and a designer label. Write the first Review for Dior Addict 2!